We offer Power Cable Ladder trays that possess strength and high capacity. We are dedicatedly engaged in manufacturing, supplying, importing and exporting FRP Cable Ladder. Manufactured using high quality material, our range is in compliance with international quality standards. Besides, we offer these products to clients in a spectrum of specifications at nominal rates. We are engaged in offering our clients Cable Ladders. 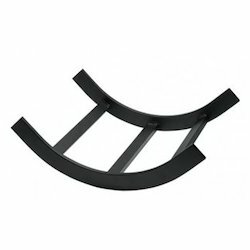 These ladders are known for their quality and durability. These ladders can be used to climb tall buildings in case of fire or other natural disasters. These Ladders are also available at very reasonable prices. We present an extensive range of Cable Tray Ladders Type to our clients at industry leading prices. These ladders are manufactured using finest grade of polyester or vinyl-ester resin and advanced methodologies. Our range is available in the size of 50 mm to 1000 mm width to suit the variegated applications of the clients. We offer Power Cable Ladders trays that possess strength and high capacity. This Power Cable Ladder is well suited to heavy duty power distribution in industrial facilities. - Cable trays provide a support system for managing cables in a Building or other places. We manufacture a wide assortment of cable ladders that are designed using premium grade raw material sourced from reliable vendors all over. These cable ladders have gained huge appreciation in the market for their host of qualitative features such as well designed, high strength, easy for installation applicable for wire and feeder fixing. 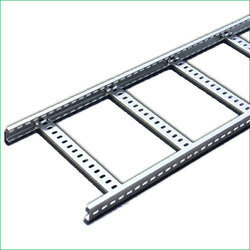 One can avail from us a quality approved assortment of Cable Ladder. Owing to their top quality, our products are extremely praised amongst the patrons. We are manufacturer of High Quality Cable Ladder. Specifications, in Galvanised and Powder Coated surface finish. Cable Trays in all Sizes and Shapes, perforrated and Plain . Eskimo Controls & Technologies Pvt. Ltd.